LaughingSkull started playing violin at 7 to annoy his parents who wanted him to play piano. After a year he switched to classical guitar, but quickly become frustrated because the knowledge of Bach did not allow him to play rock. After an unsuccessful attempt to become a self taught rock player, he put a guitar on a shelf and leave her be. Twenty years later we find him as bitter and disillusioned scientist, on the verge of middle age, stricken with Lyme disease. Guitar comes back from the shelf again. Determined to learn to improvise, he started from scratch again. 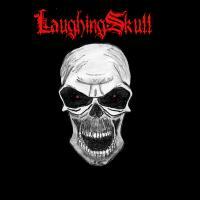 Thus in 2005 project LaughingSkull is born, meant to be nothing more than a passionate past time. Compositions matured in time and his signature fusion of goth/doom metal and progressive rock/fusion emerged from improvisation sessions with computer. First songs were put on the web to be reviewed by peers. Surprised by the positive reviews, he increased his involvement into composition and playing and was soon after rewarded by a letter from independent label. In 2009 he signed to AMAdea records and his debut 'Labyrinths Of The Soul' was released. A blend of melancholic progressive metal and daydreaming instrumental rock. Addictive listening exploration.